Thinking of getting an Android tablet, perhaps one from Samsung? How about the new Samsung Galaxy Tab 8.9 that is expected to become available on June the 8th? How about having a quick look at the Android 3.0 Honeycomb tablet in action? That’s what we have for your viewing appraisal below, a preview video of the Samsung Galaxy Tab 8.9 WiFi model I action courtesy of Phone Arena by way of Engadget and NewGadgets.de, which delivers just over two minutes of previewing the device. The Samsung Galaxy Tab 8.9 in the footage is a working model of the device, but alas doesn’t come up with anything informative concerning the tablet’s capabilities, but it at least does give us a look at what we can expect from the new Android device..
As stated earlier the expected release of the Samsung Galaxy Tab 8.9 is the 8th of June and price wise the 16GB version commands $469 while the 32GB model commands a price tag of $569. 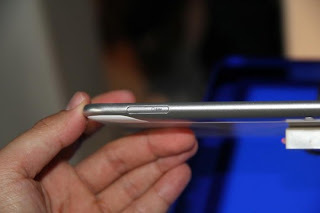 So anyone hoping to snap up the Samsung Galaxy Tab 8.9 come June the 8th?